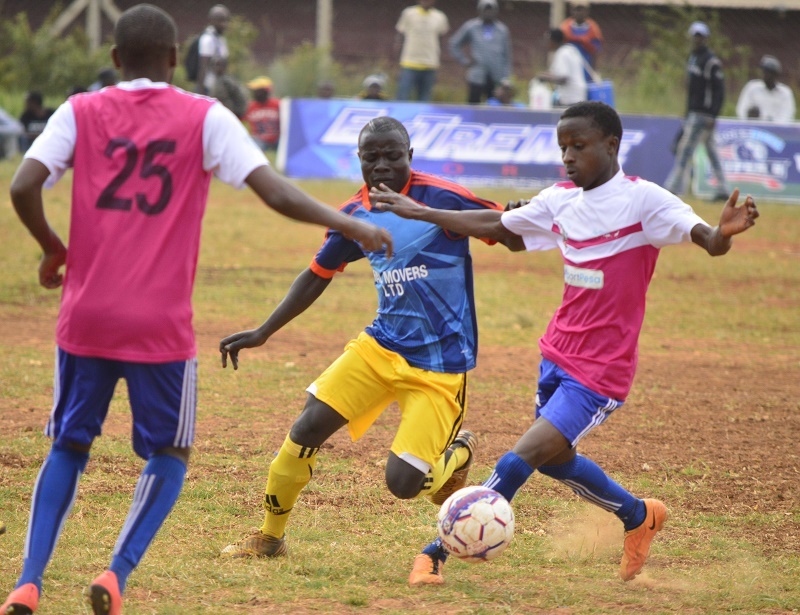 Super 8 Premier League round 6 had its fair share of drama as the competition continued to gather more steam over the weekend. A captivating derby left Mathare residents begging for more Super 8 action as Mathare Flames overpowered bitter rivals Metro Sports 1-0 on Sunday 14 April afternoon at Drive Inn grounds. 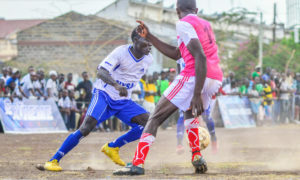 Dubbed the ‘Slum Derby’, hundreds of fans availed themselves to voice their support for either side of Mathare North’s most popular clubs, an indicator of the growing popularity of the Super 8 League. Jubilant celebration erupted from a section of the fans as early as the 28th minute when Flames captain Jacob Bashir drilled in the decisive winning goal that became the ultimate difference separating the two sides after the final whistle. The win, Mathare’s third of the season ended three-game winless run and propelled them three places up on the 16-team standings to 5th position with 10 points. Metro who were looking to bounce back to winning ways had their best chance in the second half when Peter Ambetsa was denied by Flames keeper from point-blank range. The defeat saw the Sportsmen drop to 10th place with eight points from two wins and similar draws. Elsewhere, Huruma Kona beat NYSA 2-1 at home to climb to seventh with nine points thanks to Johnson Adesoji’s brace in the 15th and 53rd minutes. NYSA’s consolation came through Peter Ngang’ in the 75th minute but not enough to inspire a comeback as they remain placed third on 10 points. 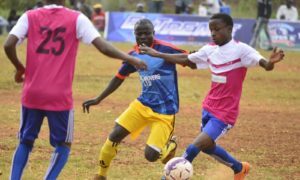 At Camp Toyoyo Grounds, leaders Jericho All Stars hammered Kawangware United 4-1 to lay a three-point lead at the top of the log while struggling Makadara Junior League SA lost to Dagoretti with a similar margin.